This bumper edition of rediscovered pop-chart hits includes Kaleidoscope’s exciting latest find, a missing 1969 episode of Top of the Pops which has uncovered a ‘lost’ early cut of The Beatles promotional film for Something, provided to the BBC. The Beatles also feature in an 11 second fragment of a ‘lost’ live performance of Paperback Writer, all that survives from their 1966 appearance on Top of The Pops. Other highlights include a real rarity from the early days of satellite television, with the earliest known surviving footage of Sky TV, Tony Blackburn’s 1985 Sky Fi Music Show, proof that television still went missing in the golden age of the VCR. Also screening are two episodes of Cilla, the eponymous BBC series, recently returned to the BFI National Archive by the Cilla Black Estate. Session 1: Reel-Time! (20 April, 15:15, NFT1) hosted by broadcast DJ and former Top of the Pops presenter and MBW regular ‘Diddy’ David Hamilton, is a televisual juke box of chart-topping pop discoveries featuring a delightful mix of previously missing live music performances spanning the 60s, 70s and 80s. The first session features two curated compilations, including clips from a variety of programmes, with an impressive musical line-up featuring The Beatles, Fleetwood Mac, Slade, T.Rex, Elton John, The Sweet, Jethro Tull and Rod Stewart amongst others. Recently recovered from an Austrian Archive, Kaleidoscope discovered a missing episode of Top of the Pops (13/11/69), coincidentally the last episode to be shown in black and white before BBC1 went full colour. The Missing Believed Wiped session will screen ‘lost’ performances from Fleetwood Mac (Oh Well Part One) and Jethro Tull as well as the chart countdown from this classic 60s edition. What makes this find truly special however is the inclusion of a previously unknown cutting copy of The Beatles promotional film for Something. Made especially for the BBC, this early version of the promotional film includes some alternate footage, as the film shot by Paul McCartney had not been incorporated yet. Kaleidoscope believes that this version has remained unseen since its original BBC transmission. Chris Perry, CEO of Kaleidoscope comments "Finding lost television is like forensic archaeology. You find the clues and follow the trail. Found in Austria, this missing videotape is pure Top of the Pops magic. However Kaleidoscope didn't expect to uncover a 'lost' original cutting copy of the Beatles promotional film for 'Something', buried deep within it. Shown only once on Top of the Pops, this previously unknown promo edit is a truly remarkable treasure for Beatles fans everywhere." All recordings of The Beatles singing live in the Top of the Pops studio were believed lost, until last year when Kaleidoscope were sent an 8mm film to examine. On closer inspection the film revealed 11 seconds of pure pop magic, with the filmmaker having captured the Fab Four performing Paperback Writer on Top of the Pops (16/06/66, BBC), off their television. 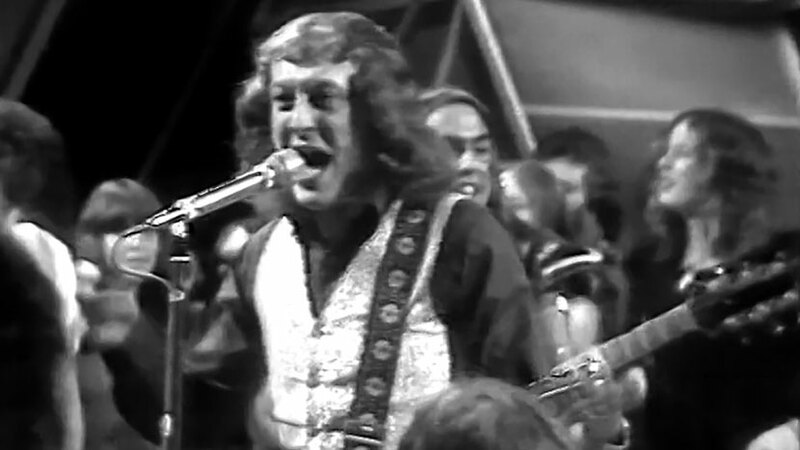 Kaleidoscope also recovered a badly decomposing reel to reel videotape from which they were able to piece together a complete edition of Top of the Pops missing from 1975. The session will screen Slade’s ‘lost’ live performance, How Does it Feel, from this episode (06/02/75, BBC). One of the most surprising finds, included in this compilation is the rediscovery of an episode of Sky TV’s Sky Fi Music Show presented by Tony Blackburn (08/01/85 Sky One). Very little of Sky TV’s broadcast output from this early period has been found. Both Sky TV and the BFI National Archive have confirmed that this off-air VHS recording is the earliest known footage of the satellite channel which also contains the historic moment when Sky ceased using dual timezone clocks in favour of using one UK GMT time only. The 405-line monochrome analogue television broadcasting system was the first fully electronic television system to be used in regular broadcasting. Kaleidoscope recently received a significant donation of rare reel to reel domestic 405-line videotapes. In all 65 reels of domestic off-air recordings between 1968-1976 were recovered, Kaleidoscope has painstakingly transferred and converted the tapes, preserving and enabling access to this significant live music collection for future generations. The session will also screen the complete programme for Look In (1959, Associated-Rediffusion), an intimate portrait of jazz legend Louis Armstrong featuring a rare UK interview with Armstrong and presenter Michael Ingrams. Recovered on 16mm not much is known about this series which ran in 1959. In addition to the Louis Armstrong special, six surviving episodes are held in the BFI National Archive. Session 2: Cilla (20 April, 18:00, NFT3) Missing Believed Wiped celebrates Cilla Black with a screening of two consecutive episodes from the seventh series of Cilla, the eponymous series for the BBC that ran from 30 January 1968 to 17 April 1976. 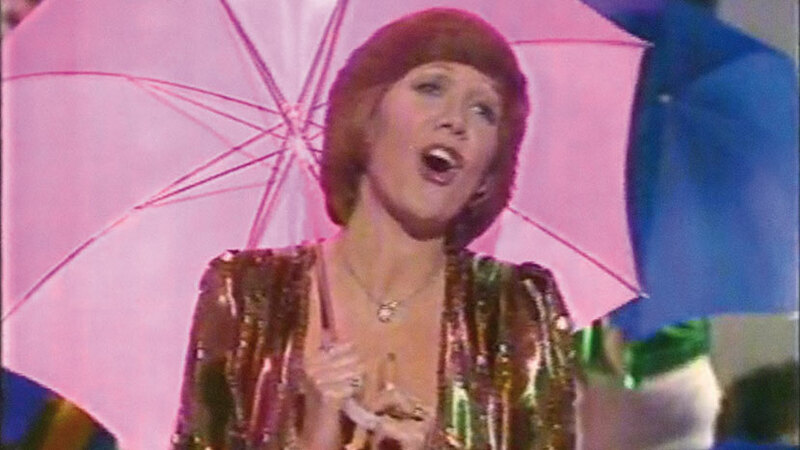 Recently returned to the BFI National Archive from the Cilla Black estate these two shows exemplify the moment when Cilla Black was consolidating her transformation from pop star to the all-round entertainer known and loved by generations, with the show’s success paving the way for her lengthy television career. A must-see for Cilla fans, both episodes are screening here for the first time since their original broadcast. Please note Cilla series 7 episode 3 will screen slightly incomplete as it is missing a section of about five minutes. The extremely popular series was known for its guest appearances by many musical stars of the era, performing comedy sketches and duets alongside Cilla. Cilla Series 7, episode 3, (19/01/74, BBC) stars Cilla Black performing with her backing singers, The Breakaways and special guests Bill Owen (the Last of the Summer Wine star was also a songwriter having written songs recorded by Pat Boone, Harry Secombe, Engelbert Humperdinck, and Sir Cliff Richard) and Kenneth McKellar. Cilla Series 7, episode 4 (26/01/74, BBC) features Cilla and special guests Joe Brown, Milo O'Shea and sunshine pop group Design. Tickets for both Music Believed Wiped sessions are now on sale with joint ticket option available forboth sessions.